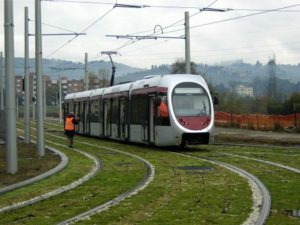 Florence’s expanded T1 tram line, which runs from the central train station to the Careggi Hospital, is now open. Previously, the T1 line – which opened in 2010 – began at Villa Costanza and stopped at the central train station. At the opening ceremony, Florence Mayor Dario Nardella said the tram line was built in less than four years, setting a record. The city has plans to open a second and third tram line in the future.